Group SS501 shows their status as leaders of the Hallyu wave. Since the start of their concert in Seoul and Japan in August, October in Taiwan, November in Shanghai, China, December in Hong Kong etc., SS501 will be holding their "The First Persona Asia Tour" in 10 cities around Asia. 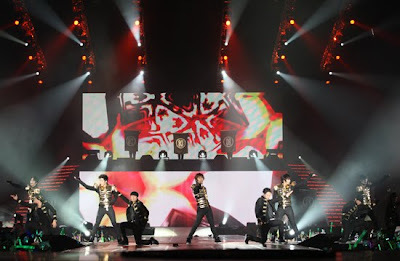 SS501 firmly caught hold of the hearts of 12,000 female Taiwanese from the 15th to the 18th during their Taiwan visit. The Taiwan concert is the Asia Tour's 3rd stop. During this concert, SS501, with stronger charisma and stage performance, became an outstanding main lead in the Hallyu wave. SS501's Taiwan trip this time round was together with sportshankook. SS501's Taiwan visit was reported by Liberty Times, Apple Daily etc leading Taiwan media. Crossing the customs dressed casually and wearing caps and shades, SS501 was warmly welcomed by fans, and hence they shook hands and autographed for the fans with a grateful heart. Hence a "Friendly SS501" headline appeared. Fans waited for long and cried just to catch a glimpse of SS501. 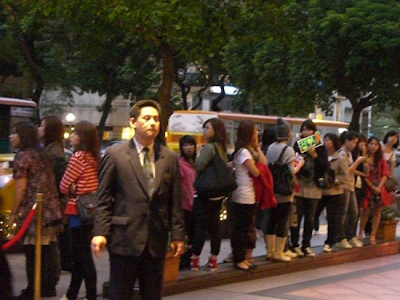 Taking cabs or motorbikes, fans went to and fro the hotel and concert venue, giving enthusiastic support. Because of the fans continuous warm concern from early till late, SS501 are all smiles despite looking tired. 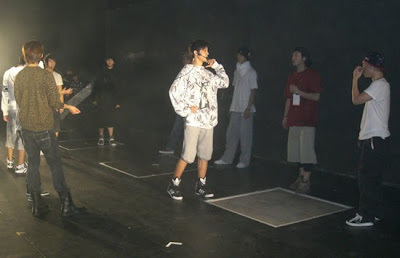 16th night SS501 are having their final rehearsal to check the stage. Wearing large T-shirts and shorts they look very comfortable. Members sweat a lot while practicing, which went on till midnight. The clock's hands go past midnight, maknae Hyung Jun lies on the sofa in the dressing room. Members hear Hyung Jun's "so sleepy and tired" aegyo as he lies down the moment they enter. Regardless of where they are, maknae is maknae. Temporary break in rehearsals. Members are deep in discussion. 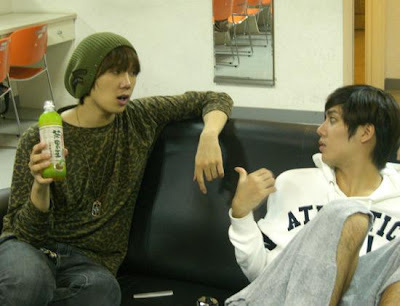 Jung Min and Kyu Jong are seriously discussing stage positions and dance steps. On hearing an interesting joke from Kyu Jong, Hyung Jun, who was originally lying down, suddenly sat up laughing. 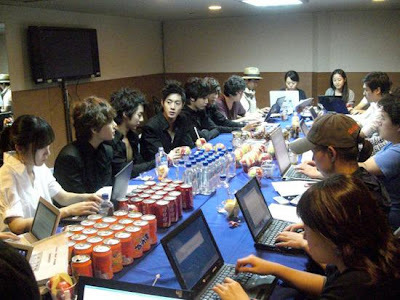 SS501 are talking with the reporters. During this day's concert, more than 800 local and overseas reporters took part. Members all say "Even though we've already held our concert in Korea and Japan, we're still very nervous." 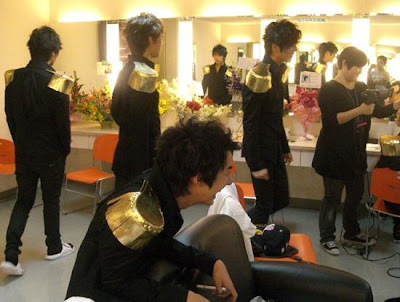 Hyun Jung is having his hair tidied, Kyu Jong Young Saeng and Jung Min stands by the side checking their dance steps. Hyun Jung jokes with the members to relieve them of their nervousness, Hyung Jun once again burst out laughing by the side. 30 minutes prior to the concert and the members are still relaxingly preparing (?) themselves . 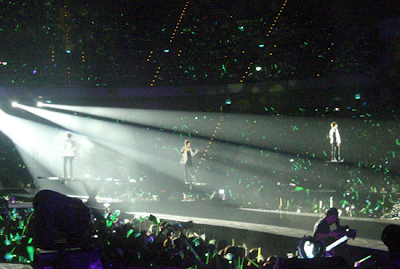 SS501 stands in front of 12,000 Taiwan fans. In order to have closer contact with the fans, a special "田" shaped stage was built. Fans hold green lightsticks, SS501's representative colour, the sea of green looked magnificent.